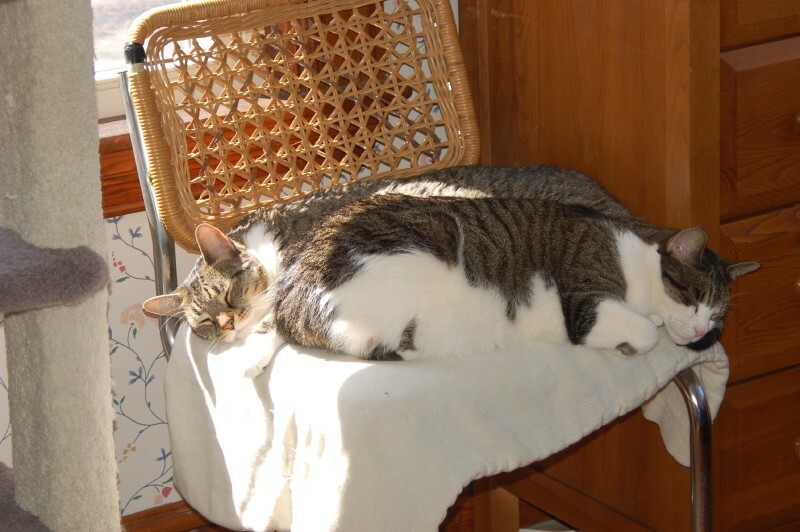 A soft chair, a warm sunbeam, and a brother. What else could a kitten want? I'm sure there must be a range that's appropriate, just as there is for people. Then again, my cats only get weighed when they go to the vet. Right now Bootsies is feeling a little pudgy, so I'm cutting back her food and trying to make extra sure she isn't chowing down on Millie's. Oops--posted my comment on the wrong post. This picture is precious! I doubt my two cats will ever get that close, though they will actually both sleep on the same couch now--one on the seat and on the top of the back.